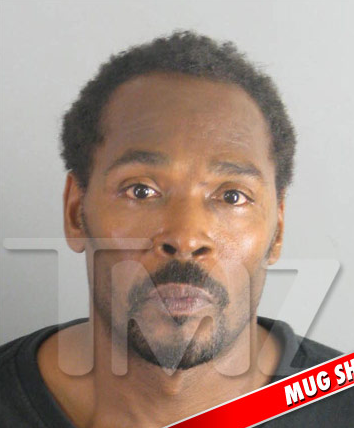 Rodney King was pulled over in Moreno Valley, CA yesterday for driving erratically. Cops arrested him and took him to the Riverside Sheriff’s station where he got a brand new mug shot. A DUI in the middle of the day. Classic. You’d think after the whole beating incident, he’d want to keep clear in the cop department. Total fail. Oh… and they haven’t revealed what he was on…. drugs or booze. We will let you know when we find out.